The Rattlesnakes are a three piece band guaranteed to fill the dance floor with a great mix of covers and original material from the 1950’s, 60’s, 80’s through to the present day. 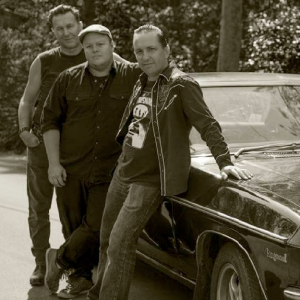 Hailing from Newcastle, the Rattlesnakes have played together for over a decade and have a strong following among car clubs, dance enthusiasts and folks who love rockabilly and rock n roll music. The Band have featured at many festivals throughout the country including the Kurri Kurri Nostalgia Festival, Chromefest, Camperdown Cruise Rockabilly Weekend and Tamworth County Music Festival.